First off, let me explain this a bit. The reason review is in quotes is because I would prefer you not to think of this as a review, but instead, an expression of an opinion that you may find interesting and helpful on making an informed decision about whether to play this game or not. Too many reviews these days seem to be mostly opinionated anyway and don’t take an impartial or subjective viewpoint, which I think true reviews should. With that out of the way I will move on to the game. 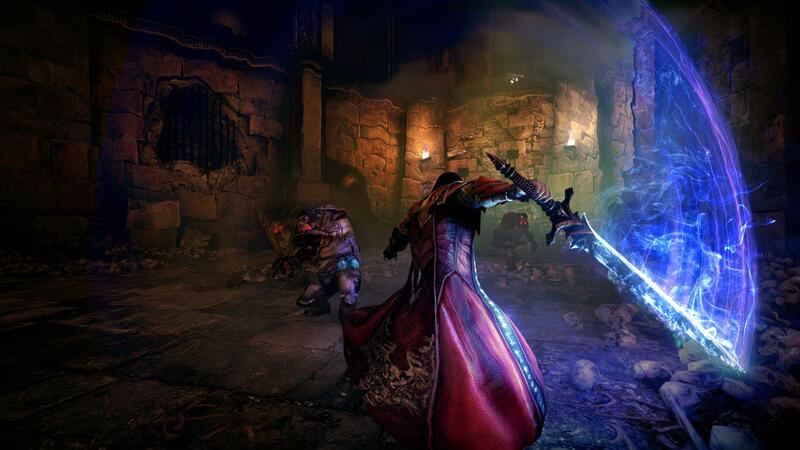 Castlevania Lords of Shadow 2 has received mixed to low reception from critics. I think a lot of these are unfair and they frankly baffle me. This is mostly due to the fact that most reviews I have read for this game state how disappointingly unlike the first game it is, how mediocre the combat is, and finally how underwhelming most of the design is. 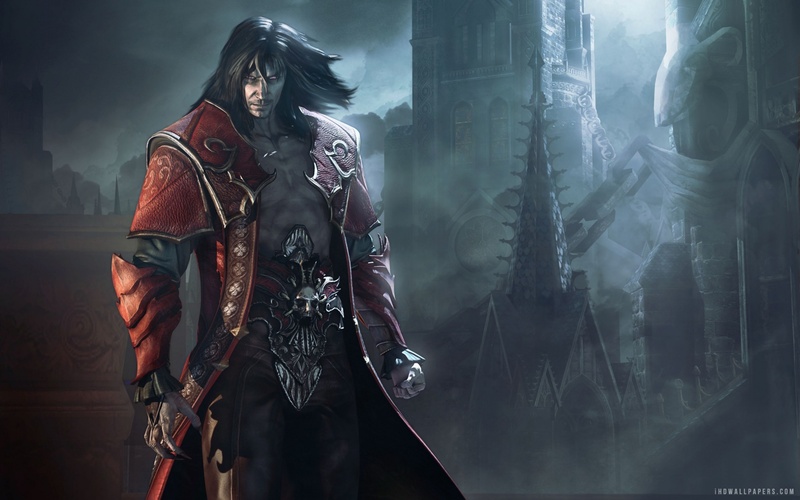 Looking back, a large part of the criticism of the first game was how unlike previous Castlevania games it was. This is funny to me because I find that the ways in which Lords of Shadow 2 differs most from its predecessor is how much more it feels like a Castlevania game. The overall design of this game is very invocative of the classic metroidvania style that became popularized by Symphony of the Night. In fact this game pays homage to Symphony of the Night in many ways, even down to the famous “What is a man?” quote. 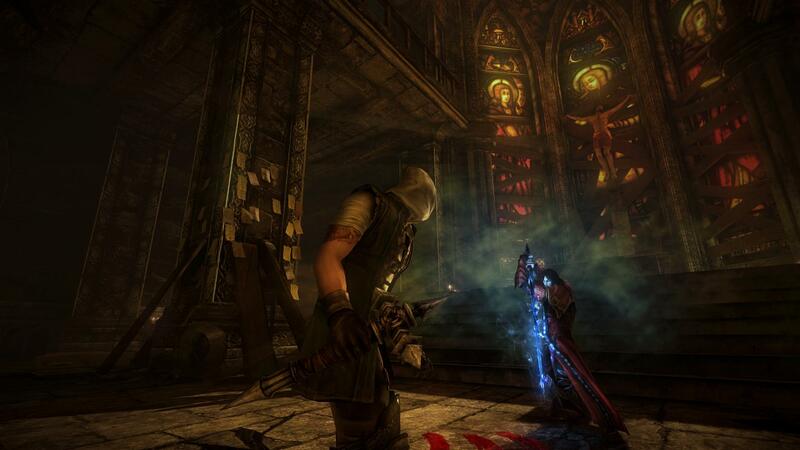 Lords of Shadow 2 is a beautiful game in many ways. One of the stand out aspects of the game to me is the fantastic art and level design. Most particularly, all of the areas of the castle are so well thought out and artfully crafted. The menace and tragic nature of the castle are fully captured in each area you explore. The modern city that lives on the bones of the castle is also well crafted, though not as inspired. 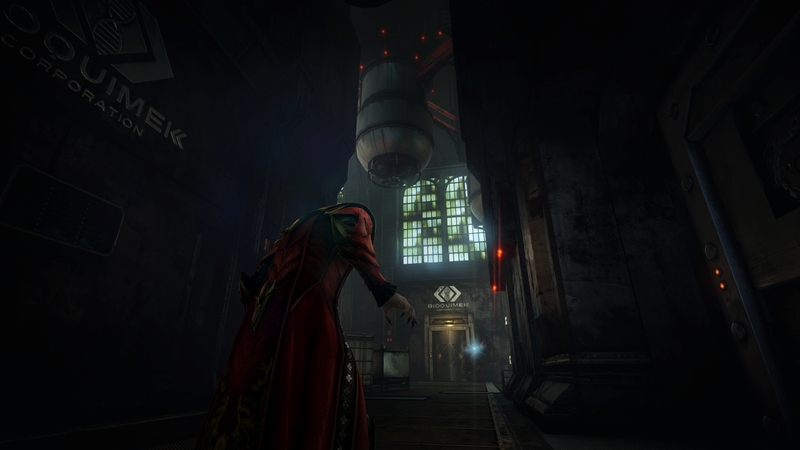 Some of the more bland parts of the game take place in modern industrial buildings or apocalyptic city streets, but for the most part even these areas are well enough designed to fit with the rest of the game. One of the best aspects of the game is of course the combat. 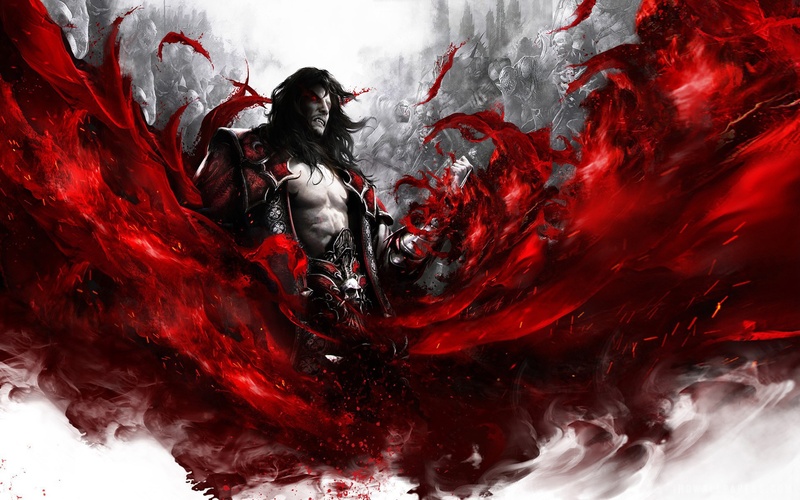 I find the combat in Lords of Shadow 2 to be an improvement over the first game’s combat in many ways. The general flow of each fight seems more fluid, even with many of the moves and attacks being largely unchanged from the first game. The dodge mechanic is much smoother, and attacks feel like they carry more weight, at least against smaller enemies. In the first game I felt that the combat was often a frantic dodge and block fest while quickly jamming in hits when you could find an opening. The sequel is a different story. Enemies are more easily interrupted when you are on the offensive and aerial combos are much more viable and fluid. Where the new combat system really shines is in the void sword and chaos claws. These are your light magic powers and dark magic powers respectively. Unlike the first game, in which light and dark magic simply added healing effects or more damage to your normal attacks and allowed for a few special moves, this game gives each its own fighting style. The void sword provides you with quick flowing attacks that heal, and the chaos claws offer slower but more devastating attacks that will break armor and shields. Each of these has their own move sets entirely different from the main move set you have with the blood whip, and all three weapons have an array of moves to unlock and master. The mastery systems also adds an improvement to the combat, as it encourages you to branch out with your combos, rather than fall back on the same basic combo all the time. The camera also works well to enhance the combat overall, being a free control view, rather than the fixed views of the first game. All of these elements combine to form a solid combat system that feels varied and much more akin to the likes of Devil May Cry than God of War. What makes this game really stand out from other games in the series, including its predecessor, is the story. Seeing how Dracula’s story unfolds and how his personality develops and shifts through the course of the game is something that no other game in the series has done, and it makes for a compelling and emotional plot. Dracula has never been as deep of a character as he is in this game. The inner struggle that is portrayed is the driving force of the game’s plot line, and the fantastic voice work brings the story to life. Robert Carlyle shows his talent as a voice actor once again, bringing the prince of darkness a new level of character not seen before. Hints of the man he used to be linger and even begin to boil to the surface as the game progresses, but there is also a festering darkness that dwells within and makes itself known. The duplicity Carlyle is able to portray is very engrossing. Patrick Stewart reprises his role as well, and his voice work is great, though it does seem to lack some of the feeling it had in the previous game. Jason Isaaks also returns, but he has a disappointingly small amount of lines. The other voice work varies from decent to solid, with Alucard and Carmilla standing out in the bunch. The story does have its weak points but the overall thread is strong and has a good, if a bit predictable, twist. Boss fights in Lords of Shadow 2 range from intelligently crafted and fun to simple and a little tedious, but the best of the bunch are very well done, and the lesser encounters are a minority. Some of these utilize the traversal mechanics in ways similar to the titan battles from the first game, but in a more stream lined way. The traversal itself is well implemented, if linear. I personally have no major issue with linear traversal, as it has become the norm for games like this and it doesn’t hurt the experience, even enhancing it at times. The paths in which you climb do sometimes offer a few choices on how to reach point B from point A and compliment the great level design. I refrain from using the term platforming however, because to me that implies a lot of jumping and challenging environmental traversal, rather than easy to navigate climbing paths. The game of course has its flaws. The biggest of these is the unnecessary and nonsensical stealth. The most bothersome thing about this is it could have been done correctly. Instead, you will be confounded by the fact that Dracula, a being of incredible power, has to hide from demonic space marines. When you are taking on demigods head on and wielding incredible blood fueled powers, it is a bit of a head-scratcher when a burst of machine gun fire or a grenade does you in immediately if you are detected by the Golgoth Guards. It would have been so much better if the enemies that forced Dracula to hide and sneak around were actually appropriately intimidating. They could have been wraiths of some kind or some manifestation of Dracula’s curse. To make matters worse, the stealth mechanics themselves are overly simple and unremarkable. Possessing rats to reach new areas unnoticed is a decent enough mechanic, but it could have been better utilized. The simple hunched over movement does little to promote a feeling of stealth and the lack of quick, stealthy movements make these sections feel very dull. Fortunately these segments are few and far between. Aside from this there aren’t many glaring issues but you will occasionally hit a pointlessly frustrating bit of combat. Ultimately though, the game is almost too lacking in actual challenging moments. Compared with the first game, I died very few times. This isn’t necessarily a bad thing but the difficulty will intermittently ramp up at points later in the game making for an inconsistent level of challenge. 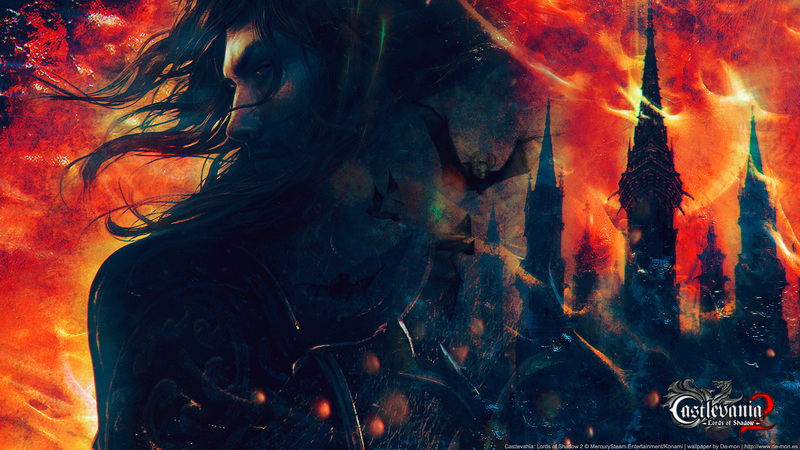 Overall, taking the flaws into account, Castlevania Lords of Shadow 2 is a fantastic experience. It captures some of the feel and charm of classic games in the series, while bringing a fresh take on the story with some very compelling results, and improves on the new style of combat established in the last game. If you are a fan of the series, and aren’t bothered by the liberties taken in the narrative, you may very well enjoy this game. If you are a fan of action hack and slash games and like the horror theme, I would say this game won’t disappoint. If none of the above sounds appealing, you probably won’t find much to like here. I personally enjoyed this game thoroughly, and found it to surpass its predecessor in almost every way. Who knows what lies in store for this series? 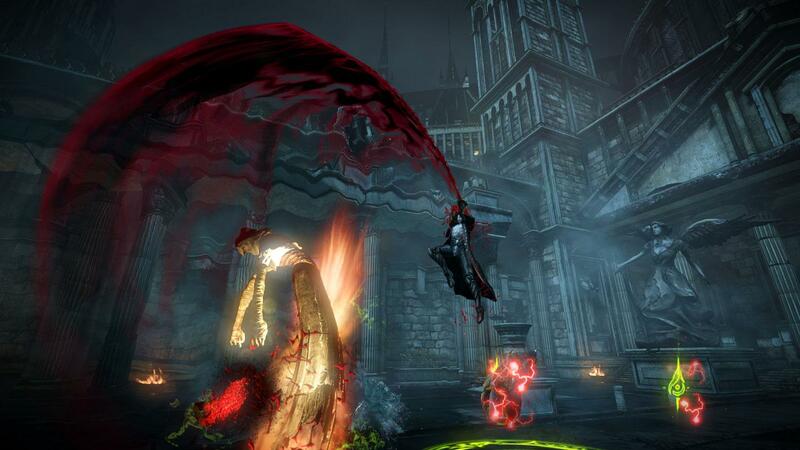 All I know is the Lords of Shadow Saga is, in my opinion, a welcome addition to the Castlevania lore. Next Next post: Reader Discussion: What do Achievements/Trophies Mean to You? So far this is my game of the year. Nothing that has come out this year so far has even touched this game in my honest opinion.